Palestinians reacted angrily Saturday to a US decision to end all funding for the UN agency that assists millions of refugees, seeing it as a new policy shift aimed at undermining their cause. Washington, which until last year was by far the biggest contributor to the UN Relief and Works Agency for Palestine Refugees (UNRWA), announced on Friday that it would no longer make any contributions to the "irredeemably flawed operation". The move by President Donald Trump's administration was described as "cruel and irresponsible" by senior Palestinian official Hanan Ashrawi. 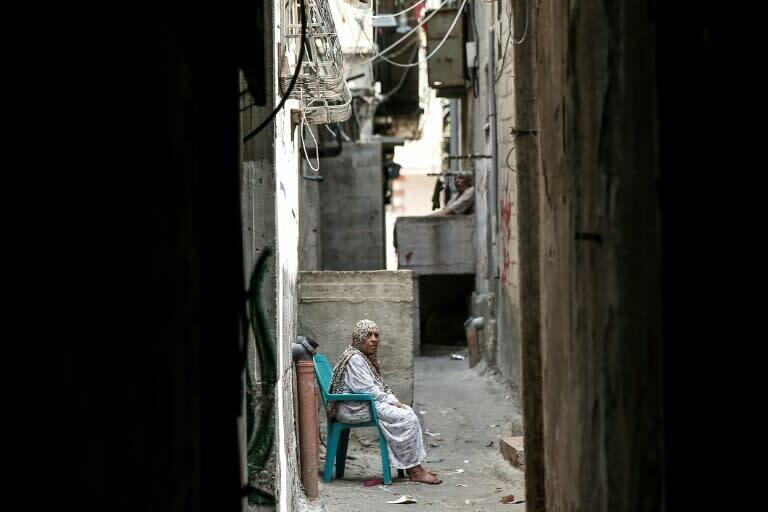 "The Palestinian refugees are already the victims who have lost their homes, livelihoods and security as a result of the creation of the state of Israel," she said. The US has backed Israel in accusing the agency of perpetuating the Middle East conflict by maintaining the idea that many Palestinians are refugees with a right to return to homes in what is now Israel. But to Palestinians, the right of return for the hundreds of thousands who fled or were expelled during the 1948 war that accompanied Israel's creation is central to their cause. Chief Palestinian negotiator Saeb Erekat said the American administration was invalidating future peace talks by "preempting, prejudging issues reserved for permanent status" negotiations. Palestinian and Israeli "elements that want to achieve peace peacefully, based on a two states solution, are being destroyed," he told AFP. Israel however welcomed the US move. "Consolidating the refugee status of Palestinians is one of the problems that perpetuates the conflict," an official in Prime Minister Benjamin Netanyahu's office said. Trump had already angered Palestinians by his December recognition of the disputed city of Jerusalem as Israel's capital and axing more than $200 million in bilateral aid for Gaza and the West Bank. The new policy on Jerusalem overturned decades of precedent and prompted the Palestinian leadership to break off relations with the White House. Palestinian presidential spokesman Nabil Abu Rudeina said Washington's latest decision "promotes terrorism" and was a violation of UN resolutions. He said Palestinian president Mahmud Abbas was considering appealing to UN bodies to challenge the US decision. UNRWA, established in 1949, was already facing financial crisis after Trump announced a $300 million funding freeze in January. The agency, which helps more than five million registered Palestinian refugees, says it now faces major closures to its network of schools and health centres. Mahmoud Mubarak, director of committees that run 19 refugee camps in the West Bank which accommodate some 500,000 Palestinians, warned of "very serious repercussions". Mubarak said committee representatives would meet Tuesday to discuss their options. 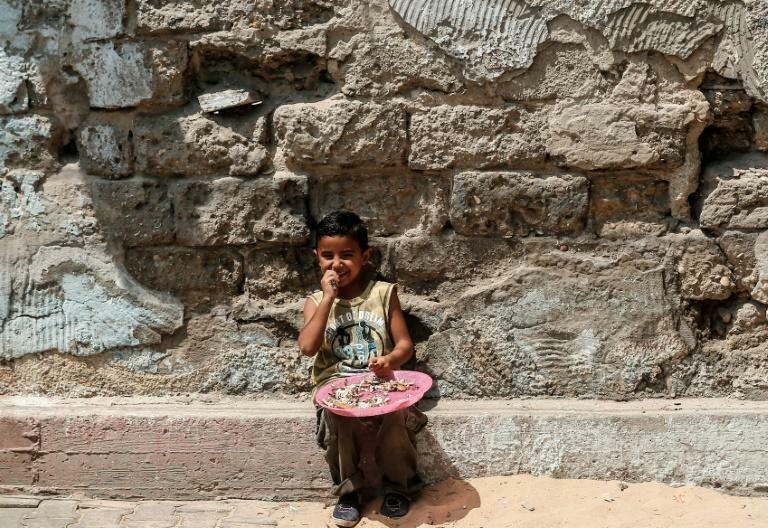 In the impoverished Gaza Strip, where most children attend UNRWA schools, 55-year-old Hisham Saqallah said the US move was "political blackmail" that would raise tensions. "If they stop aid to schools, this means destroying the futures of a large number of students and throwing them into the street," he said. "If they stop the aid completely it would have a major effect on our children." 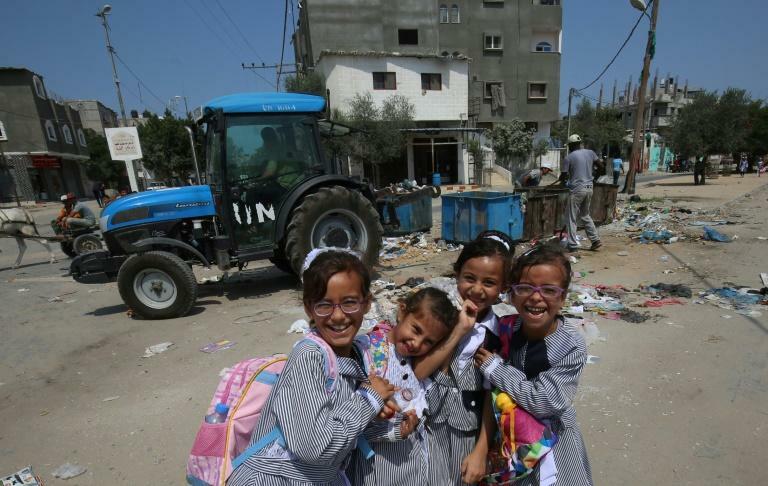 UNRWA spokesman Chris Gunness said the agency would try to close a $217 million shortfall. "If not, some of the most marginalised and vulnerable people on the planet may well suffer," he told AFP. "People are going to become more desperate and marginalised," he said, warning of "dramatic, widespread, profound and unpredictable" consequences. Jordan, which is one of just two Arab countries to have signed a peace treaty with Israel, has announced plans to organise a fundraising conference on the sidelines of the UN General Assembly in New York next month. The country's foreign minister on Saturday voiced disappointment at the US decision, saying Amman had worked hard to convince Washington to keep funding UNRWA. "Any decline in the agency's services and any attempt to diminish its role under its UN mandate would threaten dangerous consequences," Ayman Safadi said. "Cutting refugees off from the agency's services will deepen their feelings of deprivation" and create dangerous tensions, he said. State Department spokeswoman Heather Nauert said the US would "intensify dialogue with the United Nations, host governments and international stakeholders about new models and new approaches" for assisting needy Palestinians. But Hugh Lovatt, an Israeli and Palestinian affairs analyst at the European Council on Foreign Relations, said Washington would find scant support for its push for an alternative aid conduit. He said it was an attempt to "unilaterally take the Palestinian right of return off the table". "But US actions are misguided, dangerous, and won't work... neither Lebanon or Jordan can be expected to play along," he said.